(1), Tap: Look at the top card of your library. You may put that card on the bottom of your library. @SamsWrath - Thanks for the suggestions! Although those all would help the deck, I think the original list included things like Canal Dredger instead of noncreature artifacts since those creatures can be grabbed by Grenzo. 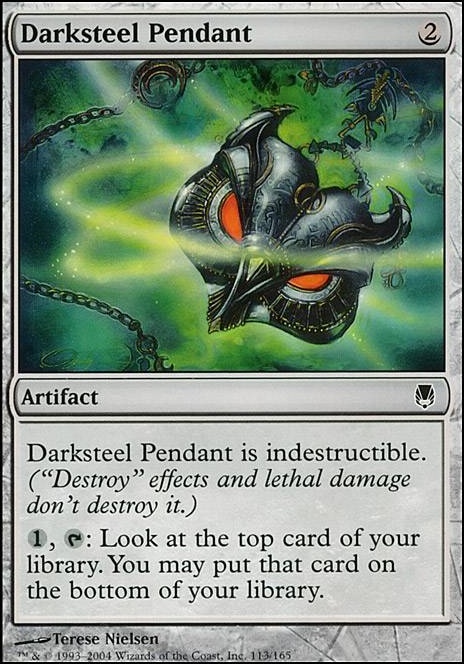 I am considering Darksteel Pendant now though, as it would be stickier and maybe help recovery from board wipes. Wow those cards were never on my radar. They are all really good cards. Vizkopa Guildmage is not that fast. Valduk, Keeper of the Flame is fast. Voltron with Enchantment cards ones that care about power mostly. I don't remember seeing a Viridian Longbow he uses lots of fight style cards. Stinging Shot is in there because there are a few flying decks running around and it has cycling. I put Darksteel Pendant in my Krosan Warchief deck and I love it, so I'll add it here. Ulamog's Crusher is so good I should put it in every deck. I like the first strike idea but he uses combat tricks with Vine Mare as well. Vine Mare is probably the hardest one to beat. The ways I've beaten him when he has Vine Mare was outlasting him until he was top decking. Valduk, Keeper of the Flame I can beat with my Satyr Enchanter deck. But in the other match ups I win if I can make him get to top deck mode again. I'm gonna add the ramp cards you suggested including some of the removal you suggested. Do you have any other suggestions? 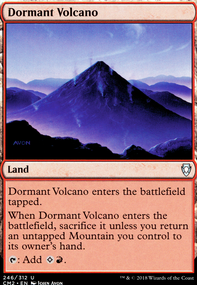 Bloodfire Infusion , Flame Slash , possibly Lava Storm , Martyr of Ashes , Sandstorm , Hush , Multani's Decree and possibly Swirling Sandstorm could act as hate against your mainly voltron opponents. Don't overload your deck with these though. Unfortunatly, most of this also hurts you. 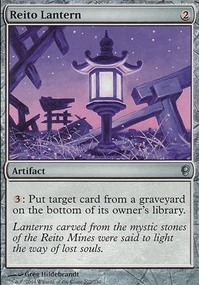 I would cut two lands for Kodama's Reach and Cultivate . Darksteel Pendant can help you find what your looking for. Does the soulblade player use Viridian Longbow ? How fast is Vizkopa Guildmage ? If Longbow becomes a problem, I would recomend somthing versatile like Crushing Canopy . Monarch cards could be good, but Valduk is pretty punishing on monarch cards. Ulamog's Crusher is the biggest beater in PDH, so he could find his way in here if you wanted. Would some more combat tricks (First strike) get a Vine Mare mid combat? What flying creature is the Stinging Shot mainly in there for? So if you like weird combos, and aren't opposed to infinite combos, you can run Priest of Gix , Priest of Urabrask , and Viscera Seer or any sac outlet, with epitaph on the field and heartstone (assuming you also have grenzo on the field) to produce inifnite mana. ex: grenzo ability for 1. priest to field, 3 mana. sac priest to sac outlet, activate epitaph. 2 mana. activate grenzo. 1 mana. priest to field. 4 mana. I had a janky grenzo deck and this takes me back when it was able to be played. you can also either go really big, near infinite, or infinite with workhorse and end up cutting out the sac outlet. 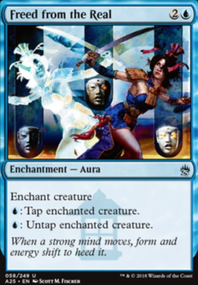 There's infinite etb or death triggers which zulaport loves. maybe put in Blood Artist and/or Falkenrath Noble as they do the same thing as zulaport. I am all for redundancy in a deck because it creates consistency which is extremely important. I would suggest doing a jank Doomsday build but frankly, if you're building doomsday, you might as well go competitive with the deck. 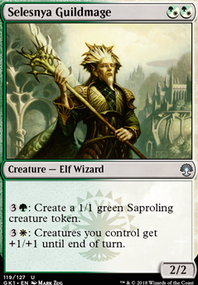 Murderous redcap loves ashnod's altar with this jank. 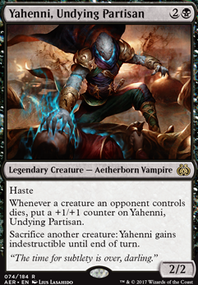 And as a final food for thought, maybe run a few utility creatures, Crystal Ball and/or Darksteel Pendant for scrying to get creatures to bottom for grenzo, and utility creatures like Ravenous Chupacabra or Vampire Hexmage for some spot removal and utility against planeswalkers. Definitely getting an upvote my dude! if you want any deck suggestions or help on the deck, message me if you'd like! @TheMaggotPrince Seems like an ok card depending on your meta. Being a primer, I've opted not to include narrow answers. Budget replacements for Guile and Rack include Crystal Ball, Darksteel Pendant, Lifecrafter's Bestiary, and Seer's Lantern. Bestiary is honestly almost good enough to make the cut in my build. The rest are at about the same power level, and you'll have to play around with them to figure out which suits your deck best. I like what I see so far. The land count seems right. I see many staples that I'd like to see. I'd like to see Path of Ancestry, Darksteel Pendant, Reclaim, Entourage of Trest, Mutant's Prey, Hunt the Weak, the two green cycle lands, Explorer's Scope, Village Elder, Crown-Hunter Hireling. To make room I would look at the following to take out: Sizzle, Welder Automaton, Wrap in Vigor, Withstand Death, Blinding Fog, Jolrael's Favor, Nature's Panoply, Might Beyond Reason, Saddleback Lagac, Dragonscale Boon. It's always nice to see new faces in our community :) Welcome!